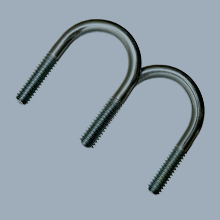 Bendfast UK Ltd has been trading for just over twenty years, and has well established itself, within the industry, as a manufacturer and supplier of high quality fastener products to the chemical, petrochemical and general construction industries. Located in the heart of the UK's Midlands, Bendfast UK Ltd is ideally situated to all the main UK motorways, rail links and raw material suppliers. Ensuring not only quality products but also providing an overall service second to none. We manufacture a vast range of U Bolts, industrial fasteners and pipe hangers in compact premises located just 2 miles from the centre of Wolverhampton and 5 mins from the M54 motorway. Our total belief in excelling in manufacturing quality, for all our products, is your guarantee of the safety and durability of all products, especially when ordering for major projects. Our quality management system, BS EN ISO 9001-2015, coupled with traceability and a reliable delivery service is an essential part of our customer supply philosophy. Our efficient sales ordering service enables us to provide you with cost-effective, sound technical expertise, manufacturing excellence and reliable supply chain facilities for all our customers, both at home and abroad.